“When it comes to balancing Ontario’s mammoth budget deficit, Ontario’s government health insurance monopoly is still the elephant in the room. 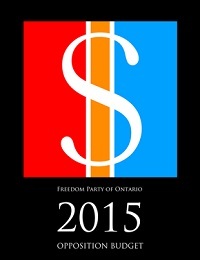 That is the central message of the Freedom Party of Ontario’s fourth annual “Opposition Budget” released today…” Click here to read the full media release. 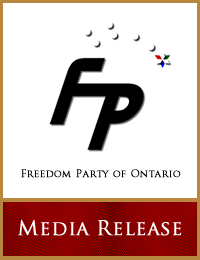 “Freedom Party of Ontario leader Paul McKeever today recorded an statement to the voters of Ontario, setting out what he would have said at last night’s televised leaders debate, had he not been denied participation in it. 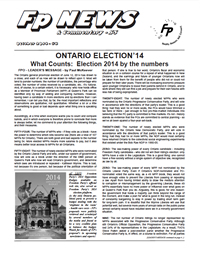 The 7 minute, 50 second recording of his address can be heard by clicking here: http://www.freedomparty.on.ca/archive/audio/2014-06-04.leaders-address.mp3. The full text of Paul McKeever’s statement follows…” Click here to read the full media release. Freedom Party of Ontario leader Paul McKeever was London in the Morning’s (1290 AM CJBK, London, Ontario, with host Steve Garrison) newsmaker interviewee on June 2, 2014. 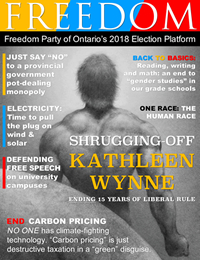 Topics included exclusion from the televised leaders debate, pulling the plug on already-existing green energy deals, and opposing candidates who try to discourage voters from voting FP.